Video games is a unique storytelling medium, because it places the player in the role of the protagonist. Only the best developers can strike the balance necessary to make a player character serve as both a proxy for the player and a well-defined individual. Deadshirt staffers Patrick Stinson, Robyn, Jen Overstreet, and Kyle Herr discuss their favorites. Jen: I have a female hybrid me-plus-Link character named Moxy whom I created by force of will and using that name in every single incarnation of the franchise. Patrick: The other type was the total blank slate. Some of these, like the faceless Rebel pilot of X-Wing, were not customizable, just a generic for you to inhabit. But in roleplaying games, such as BioWare’s famous Baldur’s Gate, a blank slate character still had a prescribed role in a story and a vast array of combat options. A mage and a fighter play completely differently and feel like different people. BioWare seemed a little self-conscious of their approach, since they attempted to offer an epic fantasy storyline centered on the supreme importance of a single individual—but one that could be described in only the vaguest terms by other characters in the story, so as not to create conflict with the player’s choices in creating that individual. BioWare has remained interested in that balance between customizability and characterization since, and for my money, their greatest success was with the player character of Commander Shepard in the Mass Effect series. Despite having a customizable first name, class, gender, background (27 are possible! ), and several distinct story paths, Shepard remains a distinct, singular character. He/she is a popular subject of cosplay, memes, and even song. The choices that BioWare made that ensured unified the various Shepards were to cast memorable voice actors (one for each gender), giving the character a consistent wit and world-weariness that transcended their “good” and “bad” choices, and of course, to keep the character’s last name constant. While you’re definitely coloring within the lines, the gameplay and social choices that are left to the player ensure replayability. The balance struck for the character of Shepard is truly the best of both worlds and a big part of the Mass Effect series’ appeal. Robyn: There are many player characters that are created as men and then pronouns are switched to create a playable female character. This was most evident in Fallout 3, where, as a child you are confronted by a boy about your age. As a girl, this encounter feels strange—the boy is menacing you for hanging out with your friend. I couldn’t make sense of it until I read an article that pointed it out—the boy was treating you like a romantic rival for the girl’s affection, as if you were a boy. This situation happens in many create-your-own-hero games, usually with frustrating results. Some games even forget to change pronouns. For a while I chronicled this on an old-timey blogspot, until it got too depressing. 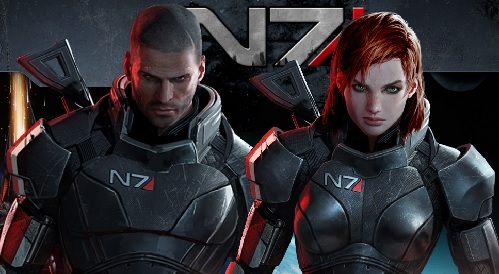 This brings me to my favourite player character — FemShep. I can’t decide if her greatness is an accident, or planned to the letter. I feel like FemShep actually benefitted greatly from the male-as-default dialogue. No one questions her, no one asks if she is feeling emotional, people respect her, do what she says and treat her as an equal. There are a few FemShep-only situations, but they all support her narrative. The other factor, of course, is how amazing Jennifer Hale is. She is the Wolverine of voice actors: the best at what she does. She delivers every FemShep line with conviction and strength; every syllable is pitch perfect. She brought a character to life that no one expected to be a character (there were no models hired to be the face of Shepard in ME1 like there were for the male Shepard, no face on the box, no trailer that featured her) FemShep became a fan favourite over the trilogy, resulting in fan votes to decide her face and BioWare even created her own trailer and added her face to the box by the time we got to Mass Effect 3. She means a lot to me. I can’t help but get emotional watching these trailers. For so long in games ladies didn’t get to have these narratives. I don’t think anyone expected FemShep to resonate with so many, but she did. Jen: Link is the quintessence of a character designed to be so bland and voiceless that the player can completely take over and do whatever the game requires of them without the resistance of a personality. Sprawling as the LoZ franchise is, as much as Link is a known entity, I would challenge you to flesh out a character for him that isn’t the very vaguest archetype of a hero. 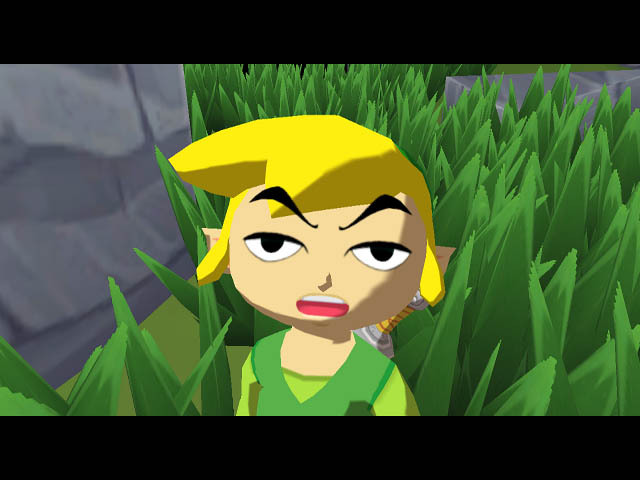 Link’s formlessness makes your role in the game simple, but begins to baffle the mind when you think about it too hard. We know why Zelda wants to return balance to her kingdom, but why does this mute rando acquiesce to be her entire military plan through every reincarnated crisis? The Wind Waker is the first and perhaps only game in the franchise to take a step back, call these archetypes what they are, and let Link be an actual character in the process. We’re introduced to the Hero of Hyrule as a historical archetype. It’s a kind of dorky costume that boys all put on for their coming-of-age birthday, to represent an aspiration to be heroic like the green-clad shmuck who did the work of a one-man army in years past. Link himself is a sleepy beach boy goofing around a lobster tunic. He makes all kinds of facial expressions. He has a grandma and a sister and actual rapport with both of them because he can react to what they say. Before he becomes uncomfortably stuck in his green uniform, we have time to actually sense that Link has a life worth protecting. We can watch him react to situations throughout the game. Piloting him through the story, we see him continue on this quest not through unflagging obedience to his pre-ordained role, but through mounting emotional investment in the quest’s outcome. He’s not a virtuously unprotesting paragon of courage, he’s a dumb kid who got dragged off on an adventure by circumstance and rose to the challenge in the process. Kyle: Many video game protagonists end up being written as perfect heroes with barely a single flaw and even less characterization beyond, “man that saves world.” This is especially true for open world games. Many games in the genre are dominated with create-a-characters, which could be argued embody the player, but tell me one defining characteristic about Skyrim’s Dragonborn beyond “they shout so loud they can knock skeletons over.” Rockstar, on the other hand, has a long history of creating characters in their Grand Theft Auto series that you can define with your actions to some extent, though usually they still end up being awful people. 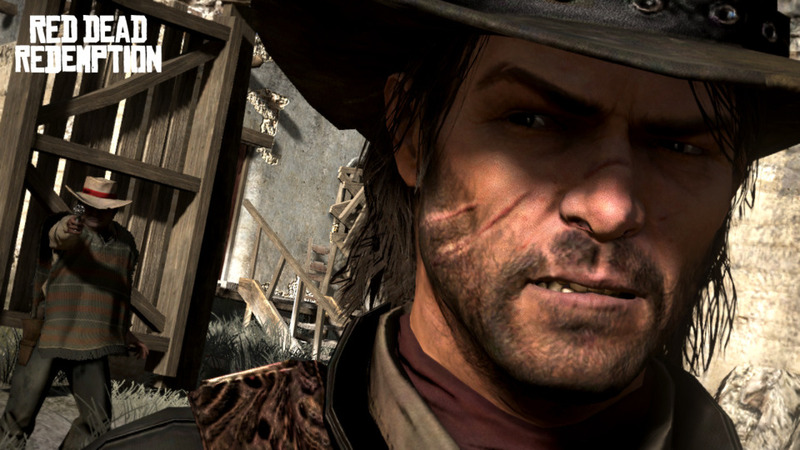 However, John Marston—the protagonist of Red Dead Redemption, their sprawling western tale—is by far a step beyond. Marston is a former outlaw who found love, had two children, and left his old life of bank robberies and train heists behind him to go straight and settle down. On the surface, this makes for a tough, vulgar, and often violent man with little semblance of an education and a life completely forged from his experience in a roving band of outlaws. This however, does not make Marston a bad person. Throughout the story you will have numerous chances to help out citizens among the frontier, stop bandit attacks, and take other matters of frontier justice to their often bloody conclusions. You can also do the inverse of all of these things if that vicious past life of Marston’s decides to rear its ugly head once more. Ultimately, what makes this a much more interesting player to character study than GTA is the ability for non-fatal and creative resolutions. Marston is armed with a lasso and can capture wanted criminals with it and deliver them alive, for the player that wishes to make Marston into a truly reformed man. You can even (spoilers ahead) let some of your former cohorts escape from justice during your final confrontations with them and allow them to go into hiding if you so desire. The choices of this game are myriad and what I love about them is that they solely reflect on the player, as the game doesn’t slap you over the head with some black and white morality meter like in many games with this kind of choice. There’s no in-game consequence, no sprouting literal devil horns, only your own conscience as you decide whether or not to pull the trigger. Is John Marston just an old killer that only cares about his skin and kin, or is he a new man that has seen too much bloodshed and believes that all people have the ability to change like he has? Who are your favorite player characters? Leave us a comment below, or hit us up on Facebook or Twitter!